You have read the news. You know it is coming. Blockchain is starting to disrupt the legal industry, just as it is disrupting nearly every other industry around the world. For many this causes fear and anxiety. How will it impact job availability? How will processes and systems be changed? Will it require a significant investment by law firms and legal departments? This last question has been a recent concern for many firms. The worry is that recently purchased software will become obsolete and firms will have to fork out a significant portion of their budget in order to stay competitive. The good news is that no, firms and departments will not need to replace all of their current software with blockchain-enabled software. In fact, they can become blockchain-enabled with the software that they currently use—as long as it is somewhat modern. And more good news, in order to integrate blockchain onto software, firms do not need a blockchain programmer. On the contrary, most firms and legal departments will be able to upgrade their software using only the skills that their current IT team possesses. This much more feasible digital transition is powered by APIs. API stands for application program interface. At its core, an API uses a combination of tools, protocols, and routines to design how the components of a piece of software should interact. In other words, APIs are the building blocks that programmers use to develop a program. In terms of this article, it is best to think of an API as an extra tool that can be built into existing software to provide additional functionality. The various blockchain APIs that have been released can be compared to the Google Maps API. A developer can add Google Maps to an existing website by embedding the API. By the same token, a developer can add blockchain functionality to software by using a blockchain API. The public key infrastructure was developed in the 1970s but only became publicly used in the mid-90s. It was initially created to assist with encryption and has been expanded to help provide data source veracity, digital signatures, and data encryption. The backbone of this technology is that there is a private key, which is securely stored by the key owner, and a public key, which is kept on a public internet key server. The public server aspect of the technology creates significant risk, as hackers can intercept a key user's lookup. This is where blockchain technology comes in. Blockchain provides a place where public keys can be stored that is tamper-proof. When the Public Key Registry API, or PKR, is installed into software, law firms can email, or transfer via other software, data and files to users with the same API—and this sending process has the highest level of security and automatic encryption available. When it comes to signatures, the PRK API works alongside the PoE API (discussed later) to allow individuals to sign hashed and recorded documents. This would help to give law firms the most comprehensive data security seen to date. Proof of Existence, or PoE, is an API that connects the content of a specific document to a one-of-a-kind digital fingerprint. This type of technology allows law firms and their clients, vendors, or partners to separately store identical documents and confirm their identicallity without having to compare them side by side. 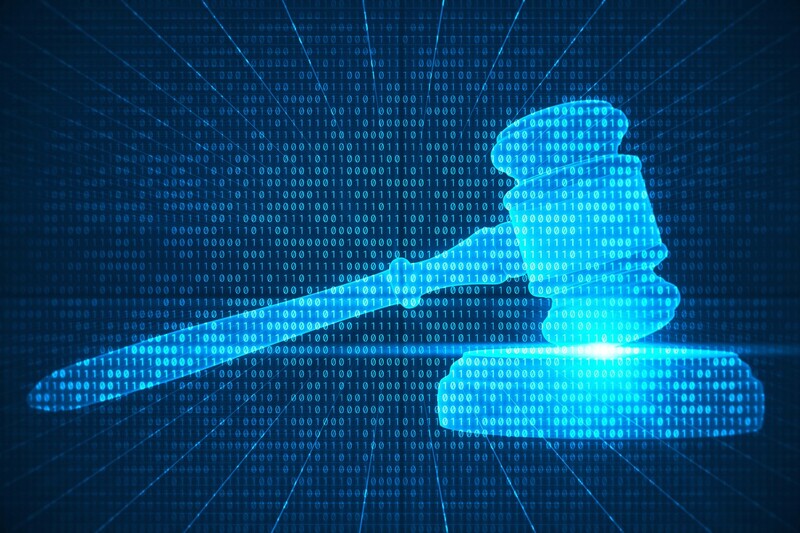 This allows the legal industry to refrain from sharing documentation and data and taking the risk that it could be intercepted by a third-party. Every legal department and law firm is responsible for maintaining its own databases, in an effort to keep digital data secure. These databases include the billing system, the email system, the calendar, and the document management system. Anytime data is entered in the database it is given a digital ID, also known as a primary key. The challenge is that these primary keys are unique to each database and vary widely from organization to organization. Additionally, the organization can change the primary keys at any given time, different numbering schemes can be used for different document management systems, and users can name and rename files as they please. This can create a big problem for organizations, both internally and externally. It means that if the same document is stored in two different places, it will have two different digital IDs. This makes it impossible for two or more organizations to verify that they are holding the same document with the same contents. FKaaS addresses this issue by using the blockchain to assign IDs to documents and data. This ID can then be stored with the document record on the internal database. As long as other firms or partners are using the same FKaaS API, both parties will have the data or document stored under the same blockchain ID, which makes document auditing, comparison, and exchange much simpler. Due to the fact that FKaaS is a system that is regulated by the legal industry, it remains uniform from one organization to the next, guaranteeing that every database that uses FKaaS will have the document stored under the same ID. When these three APIs are combined, law firms will start to see their work with documents and data become easier, safer, and more straightforward. Less time will be wasted and the risk of data breaches will plummet. It is a cost-effective and minimally invasive method for entering the world of blockchain.